Flip Flops (363/365 year 3) – Annoyingly Boring? 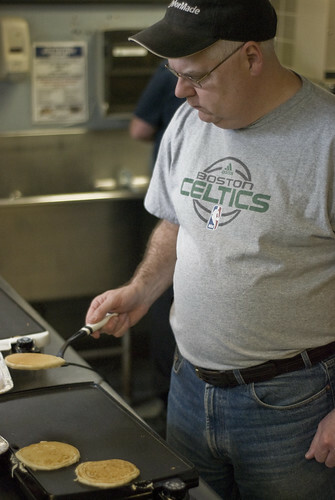 January 30 was the annual Little League pancake breakfast. I helped cook (and took some photos of the others cooking). I bet you are all wondering if I will continue my project 365 past this third year since I have fallen so far behind. Stay tuned. I should be posting my last couple photos from year three in the next day or so. Yes, inquiring minds definitely want to know if you will be continuing. I hope so. Add me to the list of people with their fingers crossed. Me three. Love the title of this post!